The Patriots have had issues running the football for the past several years and they’ve brought in LaGarrette Blount twice to help with those. Now they have to decide whether or not to test the waters with him one final time. In a pass first, pass often offense, the team still needs a big, physical between the tackles running back. While Dion Lewis and James White are dynamic in the passing game, they don’t have the physicality to carry the load in the running game especially for the tough yards inside. 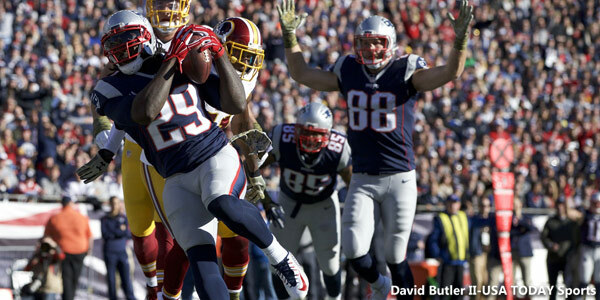 Blount’s season was cut short when he suffered a hip injury and was placed on IR in December. It was a season of unfulfilled promise as he showed up to training camp a bit lighter and with seemingly a bit faster jump in his step. It was an encouraging beginning to the season as he showed up ready to carve out a role for a team looking to repeat as Super Bowl champions. But problems with the offensive line that manifested early in camp continued thru the season and the Patriots running game was constantly either stuck in neutral or relegated to an after-thought. That isn’t a knock on Blount or the other running backs, they simply had nowhere to run. Injuries forced the team’s hand and they had to start three rookies in the interior of the line. The running game suffered for that and never really recovered. 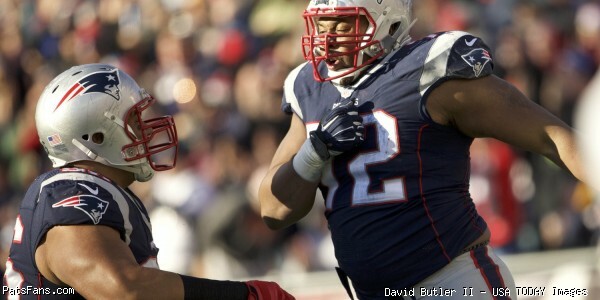 Blount for a big man (6’ 250 pounds), isn’t an exceptional short yardage runner. He takes his time, looks for an opening and then once he gets to the second level, accelerates and becomes very hard to bring down. That’s why he needs a lot of work in-game to really see his effectiveness come thru. He may get several carries for little or negative yardage but as the game wears on, he’ll break a couple for big gains. Blount’s numbers through 12 games, 165 carries, 703 yards for a 4.3-yard average and 6 touchdowns are decent enough considering he often had very little room to run. Taking into account that the only options right now are to either bring him back or go with Brandon Bolden who is primarily a special teams’ stalwart or the twice injured and unproven Tyler Gaffney, it is clear to see the Patriots need to bring in some help at the big running back position. Blount has played his best football as a member of the Patriots, his stays at Tampa and Pittsburgh were marred by off-field incidents and/or poor production. His two playoff games against the Colts in 2013 and 2014 were immediate stuff of legend for Patriots fans and he was a big part of the Super Bowl winning team a year ago. Jeff Howe of the Boston Herald reported that Blount didn’t require surgery for his injured hip and he should be good to go for the start of training camp. While that is certainly a good sign, one has to question whether at age 29, the wear and tear on a big man that carry’s the ball inside will begin to take its toll. Hip injuries can tend to be of the chronic nature and it certainly will bear watching. Blount is at the age where big backs begin to decline, this may be a factor in whether or not the Patriots will decide to bring him back or not in 2016. And as we’ve seen the Patriots tend to cut ties with a player a year too soon rather than a year too late. Why Blount Will Return: Blount could easily return to Foxboro in 2016 because there probably won’t be much interest in him elsewhere. He hasn’t shown that he can be successful anywhere but in New England and his troubles off the field have manifested in other places. He could be brought back in a minimum type deal with a contract heavily laden with incentives. Bill Belichick has always liked Blount and vice versa and he’s always been a good teammate and citizen here with no issues off the field. His comfort level here with the coaches and in the locker room is well known. He knows the offense and is a known commodity, while he’s not going to set the world on fire, he can be a productive running back in the Patriots system and won’t worry about nor will complain about a lack of a work load. Why Blount Won’t Return: The Patriots need an upgrade here. Blount has done well with his opportunities but the team can use a big back that can attack the holes in the running game and add a bit in the passing game, (not Blount’s strong suit). When the season starts, he’ll be less than six months’ shy of his 30th birthday and that’s at the age when the big backs begin to decline. I think we’ve already seen the best that we will from Blount and the team best interests are that they need to find a better solution. Bottom Line: There’s still an even money chance that the Patriots will give him a veteran minimum-type deal and allow him to compete for a job during training camp. But they really need to take the onus off of Tom Brady and the passing offense to throw on 80 percent of the snaps. While there are several free agents out there (Matt Forte, Chris Ivory, Doug Martin) that are of interest to Patriots fans, those players will probably be way out of the price range that New England likes to spend. For that matter, Lamar Miller from Miami would be the perfect fit here, but likewise, would the Patriots invest the cash for a running back, a position they’ve traditionally devalued? History says no. There are options in the NFL Draft coming up and we’ll bring along some names that we feel you should keep an eye on. The Patriots can find a suitable running back without having to use a 2nd or even a 3rd round draft pick on this season. For that reason, I think that the Patriots will move on from Blount and he won’t return in 2016. 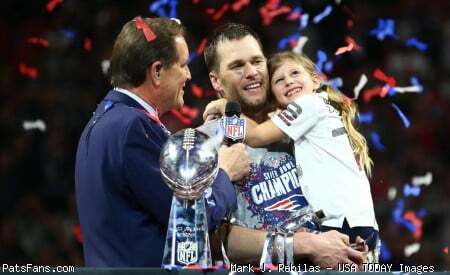 This entry was posted in Patriots Commentary, Patriots News and tagged 2015 NFL Season, 2015 Patriots, 2015 Patriots Season, Bill Belichick, Brandon Bolden, Chris Ivory, Dion Lewis, Doug Martin, free agent profile, James Develin, James White, LaGarrette Blount, Lamar Miller, Matt Forte, New England Patriots, NFL, Patriots, Patriots free agents, Patriots running backs, Tom Brady, Tyler Gaffney on January 30, 2016 by Steve Balestrieri.